Synopsis (from Amazon): From the author of the New York Times bestseller and beloved book club favorite The Kitchen House, a novel of family and long-buried secrets along the treacherous Underground Railroad. 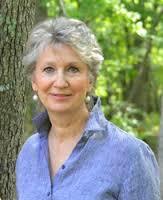 One (or more) Sentence Summary: The long awaited second book by Kathleen Grissom was another home run. Wow.....I actually finished this book about a month ago, and have postponed writing the a review. Just like The Kitchen House, I can't let go of Glory Over Everything. It haunts me (in an good way). The story picks up with Jamie, but brings back characters and pieces of The Kitchen House. Maybe you can tell....I am just rambling. Glory Over Everything is an excellent story focused around Jamie, Belle's son and Master Marshall. You fell everything Jamie has gone/is going through while you are reading the book. The characters and book pull you in, just like you are there. I am still in shock at all Pan went through when he was kidnapped. Jamie did the right thing by going after him, even though he feared for his own life by going south. 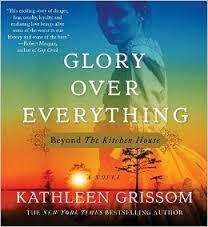 Even though Glory Over Everything is a sequel to The Kitchen House, you can read it as a stand-alone. The real question I have....is why would you? They are both so excellent. Favorite Character(s): Pan is my favorite character. Oh, if I could just wrap my arms around him and take care oh him, I would. Fast read/slow read: I actually read and listened to this book via Audible. I love how the characters come even more to life for me by listening to the book. 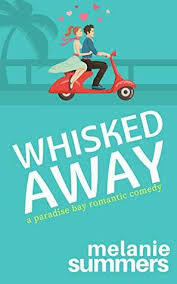 Would I Read Other Books by the Author: Without a doubt I would read anything Kathleen writes. 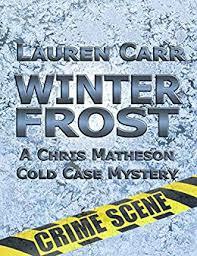 I had the pleasure after to The Kitchen House to email with Kathleen and she was always giving me updates on her book progress. I am in awe of her talent. She takes me back to the early 1800's like I was there.